i thought that me dancing alone wasn’t enough. I thought that my dance videos had to keep getting bigger, better, with more people, in crazier places. I thought that something was wrong with me because I was struggling. I thought I thought I thought. Until I dropped into my heart and my body. Until I realized, this past weekend, that what I was trying to force myself to do with sheer will from my mind, was actually not what I truly wanted. And therefore it wasn’t friggin working! Yes, of course I LOVE dancing with people, I love connecting with people, and I’m not saying I want to change that. But I no longer will do that to fill a void. Everything I am doing in my career today started because I posted a dance video, alone in my room, back in 2010. THAT was how I got back to myself. That was how I reignited my creativity. That was how I felt free. There was no trying here. It flowed. Effortlessly. It was all written through me. and it started by owning the thing i had been avoiding: being alone. So while I put the finishing touches on the creative baby that’s being born from all this (it’s called Dance Alone, Together! ), I have an opportunity for you. Inspired by this breakthrough I had and realizing how much of it was spurred on by the reflection and coaching from another human (endless thanks to Kyle Cease), I wanted to make myself more available to be that mirror for you. If you're going through something, you're not alone. let's get through the hump, together. Throughout June, every Wednesday a.k.a. 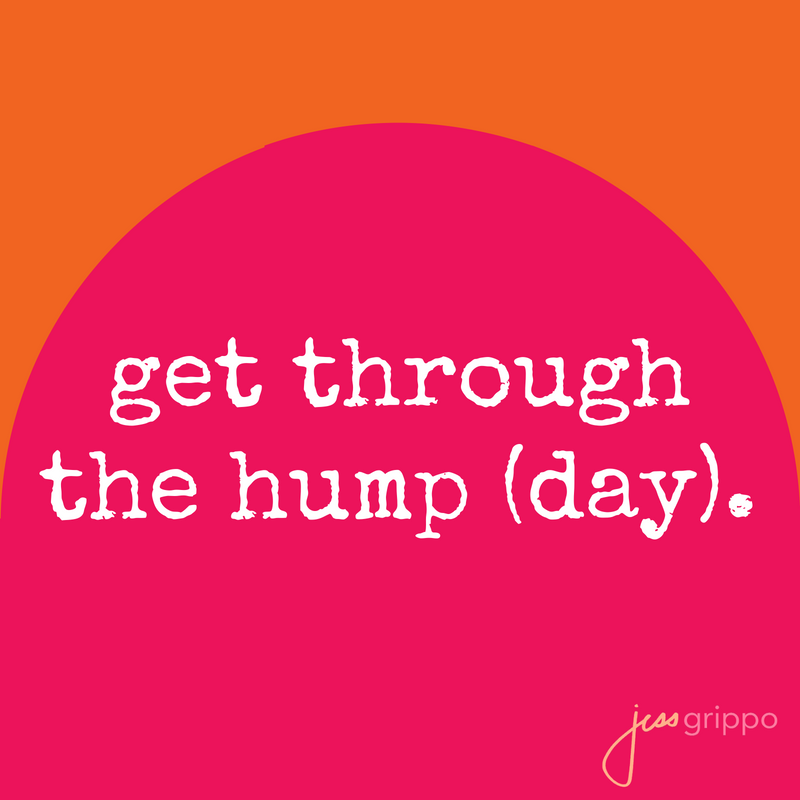 Hump Day, I'm setting aside 4 spots for reduced-rate mini coaching sessions. Think of one hump you're trying to get over or through: a creative block, a relationship decision, your work situation, etc. I'll coach you through it, connect the dots, point out what's in your blindspot, help you get back in flow, and guide you to dance into your answers. You'll leave the session with a clear next step. Click here to set up your session. Whether or not I speak to you next week, I’m grateful that we’re alone here together. Every creative journey starts out solo, and the best ones keep that solo connection while it spreads and connects with others. Thank you for being here.